Fish, like other plants and animals, need healthy living spaces, or habitat, to survive, grow, and reproduce. At the most basic level, fish need water, but they also have additional habitat requirements for spawning, survival of eggs and fry, and growth of juvenile and adult fish. Most Great Lakes fish species use several linked aquatic habitats in the lakes and their watersheds. Because fish require different physical and chemical conditions as they grow and reproduce, connected habitats are essential to their survival and reproduction. 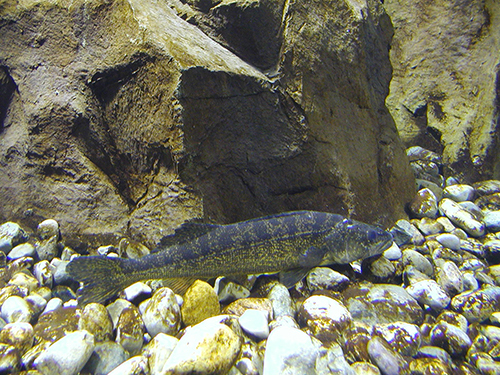 For example, walleye rely on tributary, nearshore, and offshore habitats to complete their life cycle. 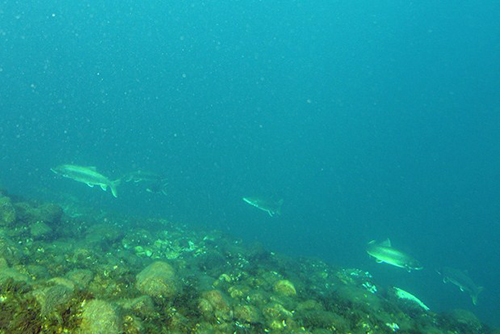 Generally, sustained fish production is compromised when habitats become poorly connected or of poor quality; ensuing declines in fish populations often lead to repercussions throughout the fish community and fisheries. Loss and degradation of fish habitat has reduced the capacity of the Great Lakes to permit maximum sustained productivity for desired fish populations. Protecting and improving fish habitat in the Great Lakes is daunting because of the complexity, scale, and expense of the problem. Complicating this, many fishery management agencies do not directly regulate habitat quality, which typically is the responsibility of land-use and water quality managers. The Great Lakes Fishery Commission facilitates building partnerships among various state, provincial, federal, and tribal agencies to protect and improve fish habitat. Habitats that support relatively stable levels of fish production over long periods of time often have discrete spawning populations associated with them and are highly valuable to fisheries managers. The commission facilitates fish habitat improvement by working with fishery management agencies to provide guidance to land-use and water quality practitioners in their habitat improvement efforts. 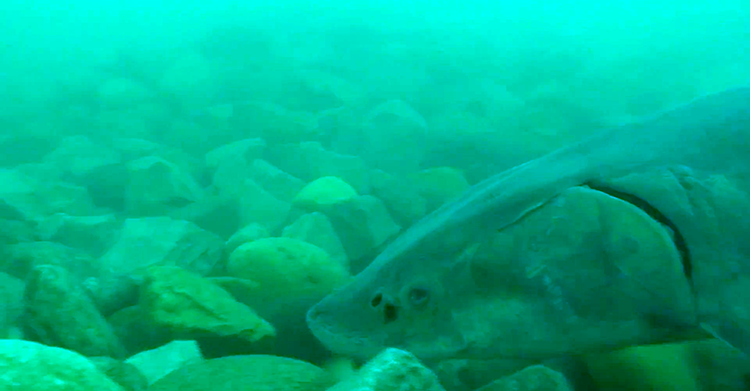 Aquatic connectivity is supported by the commission through coordination of the Great Lakes Aquatic Habitat Connectivity Collaborative, research to develop selective fish passage, and development of fish passage decision support tools. The commission participates in the Great Lakes Water Quality Agreement process with state, provincial, tribal, and federal agencies to benefit fish populations. By working across jurisdictions and with various regulatory agencies, fish managers can achieve their goal to permit the maximum sustained productivity for desired fish populations.